Punjab National Bank and state-run firm BSNL today teamed up to roll out open mobile wallet app ‘SpeedPay’ across 10 states in the country. SpeedPay wallet is a prepaid mobile wallet that can be used through an App or a USSD menu on the mobile phone or through a web portal via a PC/Laptop/Mobile Phone. The Mobile App, USSD menu, and the Web portal are powered by Pyro. PNB’s SpeedPay wallet will operate like any other mobile wallet for paying bills, recharging phone besides its users will be able to deposit and withdraw money from authorized retail outlets. Click here to Download SpeedPay App. “India is now second largest market in the world with 120 crore mobile users. Congratulating BSNL, Punjab National Bank and the technology partners in helping India moving towards less cash economy,” Telecom minister Manoj Sinha said at an event to mark the agreement signing ceremony between BSNL and PNB. Under the agreement, BSNL will expand Speedpay wallet services in Punjab, Chandigarh(UT), Haryana, Jammu and Kashmir, Himachal Pradesh, Uttar Pradesh, Bihar, West Bengal, Jharkhand, and Uttarakhand. “The reach of SpeedPay wallet service under this partnership will increase to northern and eastern states. 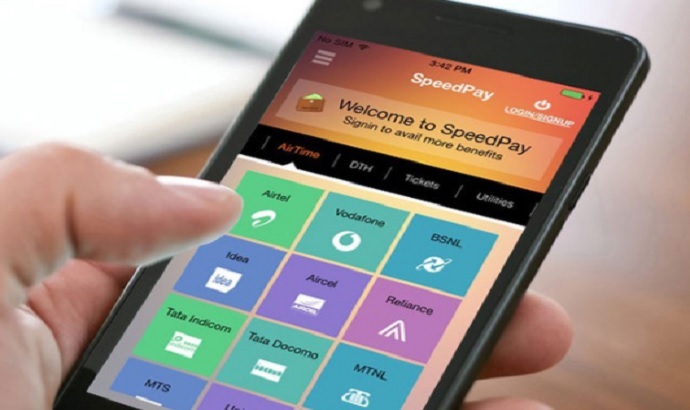 SpeedPay wallet is also an ideal medium for government’s direct benefit transfer program, to ensure quick and direct payment of subsidies to the citizens,” BSNL Chairman and Managing Director Anupam Shrivastava said. A senior BSNL officer said that retailers and agents associated with the telecom firm and PNB will be brought into the loop for providing Speedpay services. In another move towards a cashless economy, Mobikwik partners NHAI to allow users pay the toll using m-wallet. “Both the company jointly have around 20 lakh retailers and agents across the country. We will be able to provide services in tier 2 and 3 cities where wallets of private companies have not been able to expand their reach,” the officer who did not wish to be named said. PNB Executive Director R S Sangapure said that the BSNL- PNB partnership for SpeedPay business wallet will add to the digital footprints and supplement the digitalization drive of the government for promoting a cashless economy.